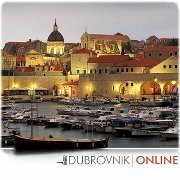 A visit to the Elafiti (or Elaphiti) islands must be on your list of things to do while in Dubrovnik. The regular Jadrolinija schedule make it impossible to visit Koločep, Lopud and Šipan on the same day. To see all three of the most popular Elaphiti Islands you should consider taking an Elaphiti Islands Cruise (also called 3 islands cruise) from Dubrovnik.